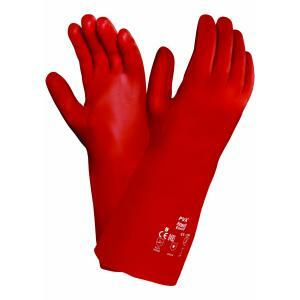 One of the only gloves suitable for handling strong organic solvents. Virtually inert in aromatic and chlorinated solvents. Comfortable anatomical glove with pre-curved fingers and winged thumb. Easier to manipulate and less tiring to wear. Soft two-piece knitted liner. Cushions the hand and absorbs perspiration.